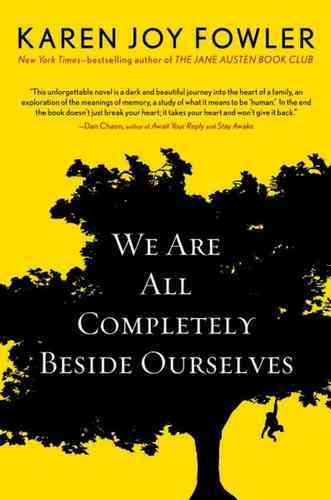 This month, #6DEGREES begins with Karen Joy Fowler’s We Are All Completely Beside Ourselves, a book that I loved for so many reasons (in fact, here are 11 of them). It’s not often that a mainstream novel has me repeatedly reaching for the dictionary – We Are All Completely Beside Ourselves includes lots of wonderful, challenging words, as does T. C. Boyle’s The Women. The Women delved into the lives of Frank Lloyd Wright’s wives and mistresses, which brought to mind Z by Therese Anne Fowler, the story of Zelda Fitzgerald. Z made me think of other books with just a single letter as the title and the obvious choice was Q by Evan Mandery. Q is a story about time travel, as is Audrey Niffenegger’s The Time Traveler’s Wife. 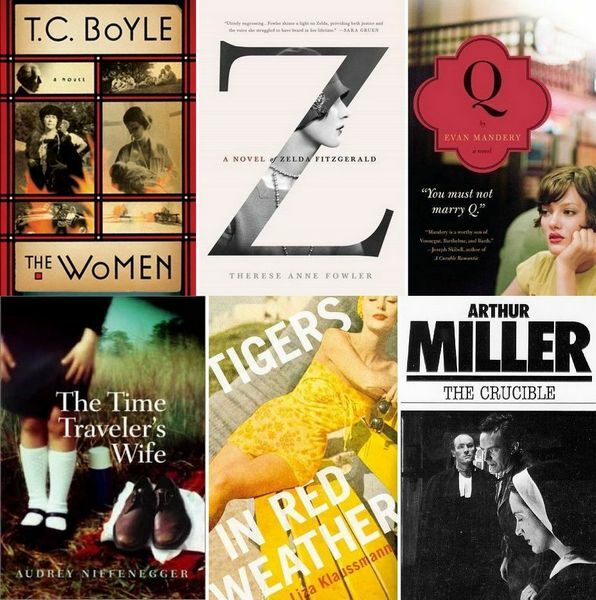 The Time Traveler’s Wife was a best-selling debut (no mean feat), as was Tigers in Red Weather by Liza Klaussman, a book that I thoroughly enjoyed. Tigers was set in Martha’s Vineyard, Massachusetts. Based entirely on location alone (Massachusetts), I’m finishing my chain with one of my favourite plays, Arthur Miller’s, The Crucible. Tricky words, a famous architect, a flapper with many talents, time travel and an end in Massachusetts, all in six moves. Super links! I didn’t know there was a book about Frank Lloyd Wright’s wives. I might check that out. Speaking of books with single letters as the title, I had a crack at Howard Jacobson’s J. It was impenetrable. I LURVE The TT Wife! Ahh TT Wife – now that’s a favourite of nearly everybody I know. I find all of Jabobson’s books inpenetrable, Annabel, so haven’t bothered with J.
I read (& thoroughly enjoyed) The Paris Wife about Hemingway’s first wife & I’ve wondered about Z. But I sometimes find the indulgent, selfish lifestyle of the Fitzgeralds too much to bare. I’ve heard other people say that about Jacobson, Brona – but the subject matter of this one really appealed. I don’t think I’ll venture back to his work in a hurry though. I didn’t enjoy The Time Traveller’s Wife novel but did like the film!